On the Ground: barismo's founder, Jaime van Schyndel reports on a new relationship with Santa Ana y Anexos in Guatemala for the 2014 crop. This is barismo's first year working with Santa Ana of Pueblo Nuevo Vinas, and we are excited to share this developing Direct Trade partnership. Stay tuned for more info as we build up to the arrival of this years various two lots, Santa Ana and Idolia. Santa Ana lies in the southern portion of Guatemala, not more than an hour or so from Guatemala City with no traffic. On the drive up, we passed a soccer field named 'Estadio Flor del Cafe' or the coffee flower stadium, so we knew we were entering a serious coffee production area. 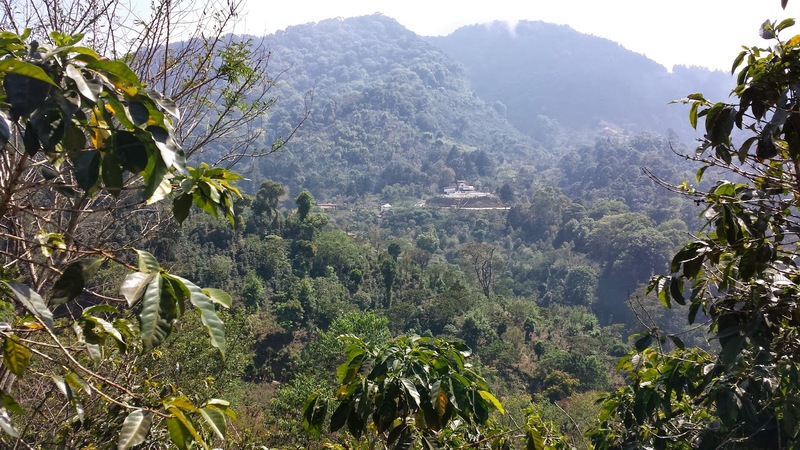 The area is beautiful, and being outside the coffee buyer favorite areas of Huehuetenango or Antigua, it feels much more isolated and less traveled by other coffee buyers. Our host on this trip is one Fernando Diaz, a calm and charming person who cares deeply about returning his farm to the days when it had high placement in the Cup of Excellence, and long term going a bit farther. He takes this in stride with his other important goals, to enjoy the land and what it offers by sharing his experiences with his family. Many of the discussions we had centered not around ambition but desire to have and provide a good quality of life for his family and the families living on the farm. As someone who works deeply in the hectic coffee industry but also has a 3 year old at home, this line of thought is something I can relate to. Sustainability isn't merely the activism but also balancing the feasibility of the business, and one's personal life. 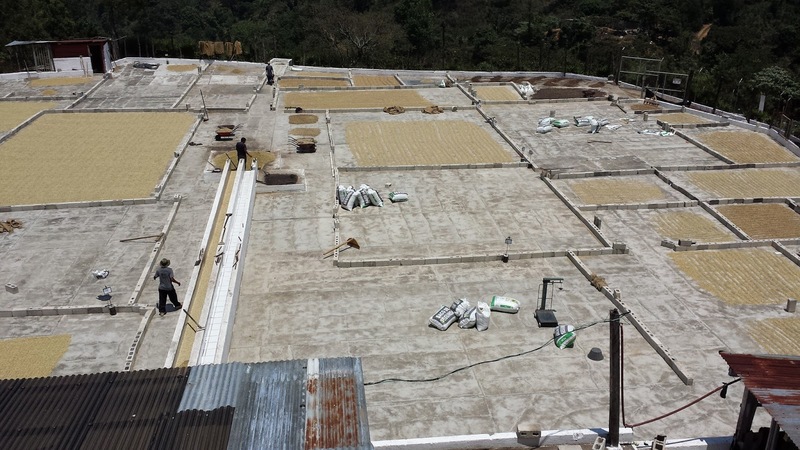 Santa Ana y Anexos is composed of four farms and one wet mill. Fernando's father passed along the main farm previously known as Santa Ana to his four children, and the Anexos were born. One of the four retained the main name of Santa Ana, while the other three were given new designations but all are currently under Fernando's care. barismo is bringing in a mixed lot of Santa Ana and one of the other farms, Idolia. Both of these lots were truly solid on the cupping table, both are bourbon, and both had uniquely aromatic cup profiles. Once we toured the farm and walked the many sub plots on Santa Ana and Idolia, we requested a few follow up samples from plots that looked unique and those we felt held potential. Ironically, the lots we picked out already composed most of the samples we chose from touring the farm. Fernando also dropped us one extra sample to show his picking vs the normal 'ripe' standard. It allowed us to cup side by side samples of picks that measured differently in the sweetness of the coffee cherry but were prepared the same. We know this because Fernando is doing all of his picking based on sample Brix measurements with logging and sample roast testing with three different quality consultants in Guatemala. Add in his intensive separation of lots plus detailed data logging of patio coffees and this makes him one of the most organized farms we will work with this year. Fernando takes a pretty relaxed approach for someone who is massively overhauling his farm. 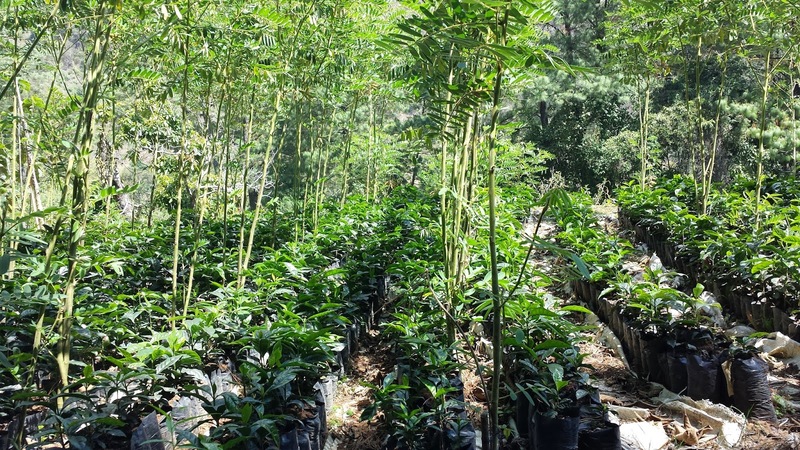 He has filled a large nursery with coffees acquired from his friend (and ours) Luis Pedro Zelaya of Bella Vista Mill. What you'd expect from Fernando with all this investment and attention to detail is driving ambition, what you've got is an analytical engineer looking at the next 10 years for these farms. As cool and intriguing as his projects are, the farm has many obstacles to overcome in the next five years. As most of the farm is planted with varying canopies of evergreens and native trees, the entire mountain feels like a bit of a mashup of varied growing scenarios. Depending on which piece of land you are on, you have different sun patterns, different soil, and often different plantings covered by varying shade types. The most intriguing part of this is a plot on the steepest side of the mountain that contains some seriously old bourbon trees. These trees have stumps that are old and in need of serious trimming, even possible replanting in some areas. 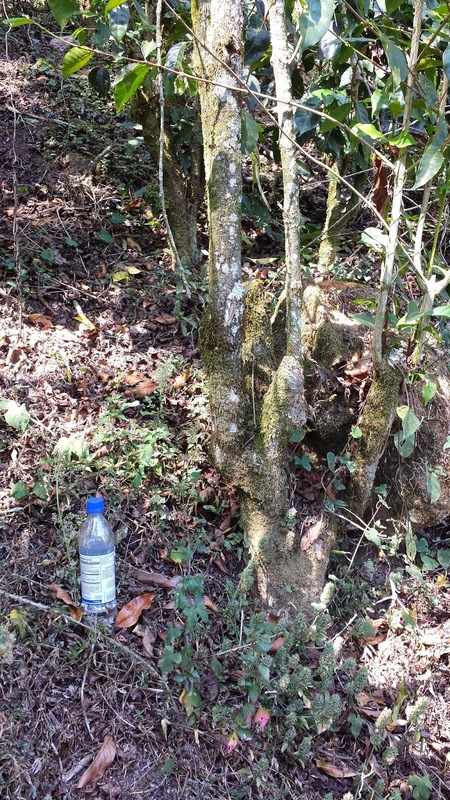 Fernando's secondary goal is to figure out if he can make furniture from many of these trees as they get replanted. When I asked if he'd sell a few, he recoiled at the idea. It's clear he was thinking of something for his family and visitors of the farm to enjoy. That's something we can get behind, especially in a specialty coffee industry that is currently gripped with rapid expansion and a venture capital influx. While the current production of the farm is relatively small for the size, in time this farm should see a renaissance. We feel the lots we are bringing in this year are simply a marker of both current peak quality on this farm but also point to some serious potential in the next few years. 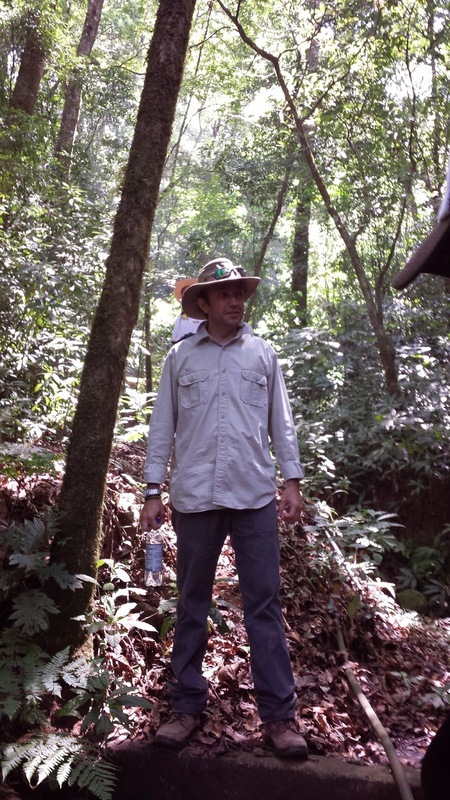 On the Ground: barismo's roaster Chris Malarick reports on his travel to Costa Rica to visit our producer partner Finca El Quizarra & Carole Zbinden. It's exciting to find a new producer partner during our travels to coffee producing areas. Nothing quite rivals the feeling of returning year after year to the conversation with an already established grower relationship. I had the opportunity to spend a day one on one with Carole Zbinden of Jardin De Aromas (Quizarra) during my travels to Costa Rica this spring. I was honored to be able to talk to her about her farm, the industry sides of both growing/roasting, and of course to taste coffees. We've been working with Carole for three years now and each year we are taken aback by the quality of harvest she produces from her 1300 msl property. Usually land this low struggles with quality issues due to a variety of factors. It is because of this that it's often looked past by roasters/green buyers. Jardin De Aromas is definitely an anomaly in that regard as it bucks the trends. Carole has implemented a very strict and regimented pruning schedule that has the entire farm systematically trimmed and uprooted in waves so as to not hinder harvest too drastically while focusing on a cycle that creates new 'young' plant tissue every year. Not only has she overhauled the maintenance systems of the farm land itself (which you know as Finca El Quizarra), but 3 years ago she started her own micro-mill which she named Jardin De Aromas. Translating to the Garden of Aromas, a name she chose as she felt her father kept his coffee farm like a flower garden. The investment in that micro mill is now allowing her to process her own cherry and regulate quality at another level. In addition, Carole has also made her entire operation hyper-sustainable by reusing almost all byproducts. Water from fermentation is irrigated into a special grass that can make use of the added nutrients and pulped cherry skin. The pulped fruit is used to fertilize areas of the farm undergoing pruning. Nothing goes to waste in this process. Always looking towards the future, we're excited to see experiments Carole has going at her farm now. From new varieties like SL28 to including drying practices like raised beds. Getting the chance to spend a day with Carole and see the fruits of our partnership flourishing and continuing to grow was a huge learning experience for me and really helped me grasp the importance of direct trade relationships with healthy dialogue, once again affirming why it is we do what we do. Keep it local Somerville, MA: barismo Founder, Jaime van Schyndel gives a status update on roasting in our new space. The new roasting setup in Somerville is primed and ready. We are taking our time to shift over as we wait for the next wave of coffees to arrive. We also have some new bits and pieces of technology we are working with to give us a little more control that need a little lead time to get used to. Many of you have asked us when the space will be open, the answer is join our notification list to get first invite to our next event in the space. As we are moving on from the introductions we've been attempting to make to cafes in Somerville (more on that experience later), we'll be focusing on our loyal and dedicated customers getting a chance to come by the space. We have a cart setup for events we'll be doing there, some Coldbrew tastings, and if you follow us on twitter we'll update you about general open house events in the Aeronaut as we know about them. Do you know #Cambridge #Coldbrew?